American life expectancy is declining for a third straight year. Birth rates are dropping. Nearly half of us think the other political party isn't just wrong; they're evil. We're the richest country in history, but we've never been more pessimistic. In Them, bestselling author and U.S. senator Ben Sasse argues that, contrary to conventional wisdom, our crisis isn't really about politics. It's that we're so lonely we can't see straight—and it bubbles out as anger. Local communities are collapsing. Across the nation, little leagues are disappearing, Rotary clubs are dwindling, and in all likelihood, we don't know the neighbor two doors down. Work isn't what we'd hoped: less certainty, few lifelong coworkers, shallow purpose. Stable families and enduring friendships—life's fundamental pillars—are in statistical freefall. As traditional tribes of place evaporate, we rally against common enemies so we can feel part of a team. No institutions command widespread public trust, enabling foreign intelligence agencies to use technology to pick the scabs on our toxic divisions. We're in danger of half of us believing different facts than the other half, and the digital revolution throws gas on the fire. There's a path forward—but reversing our decline requires something radical: a rediscovery of real places and human-to-human relationships. 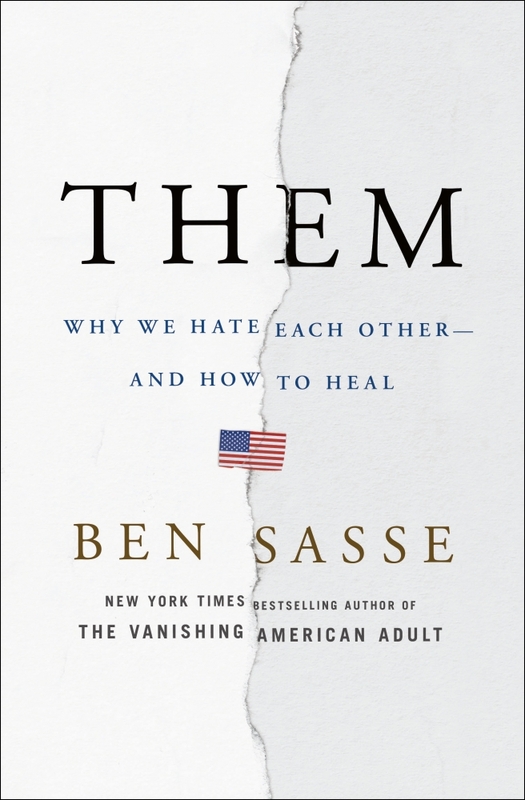 Even as technology nudges us to become rootless, Sasse shows how only a recovery of rootedness can heal our lonely souls.